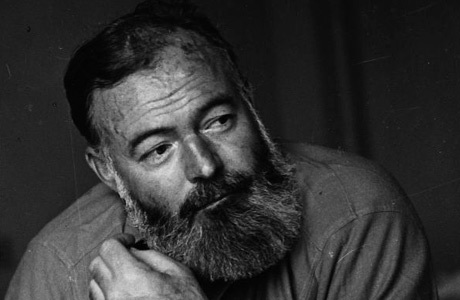 The Silent Isle: How I failed Hemingway, and nearly myself. How I failed Hemingway, and nearly myself. I’ve pondered this endeavor of writing a 6-word memoir at a distance, considering the technique without ever “officially” putting myself to task over it. Why, you might ask, don’t you try? I’ve started. Numerous times. And I’ve gotten no further than 3 words before walking away. Which seems strange. I’m a writer. I’ve written thousands—perchance millions!—of words. Why not string together 6 and satisfy this brief commission. Had you asked me that question a few years ago, or even last year, I would have sloughed it off with a haughty excuse of “I have other, more-interesting things to do.” And I would have been lying. I have refused to undertake this 6-word challenge for the simple reason that I feared I might fail. I always been desperately afraid of failure. And, to define my terms, failure for me is simply falling short of being The Best. To offer some perspective, in high school I was an MVP basketball player, a starting Point Guard all 4 years. So when I arrived in college, naturally, I tried out for the basketball team. Yet, when I got a call from the coach because they were interested in me, I never returned that call. I couldn’t do it. And I couldn’t, for the life of me, figure out why I didn’t call the coach back. Finally, half-way through my college career, self-realization struck. I was afraid I would fail. To flip to the other side of the coin, in college, my sophomore year, I decided to take on a double major in both English and Psychology. I was also in the honors program, so I had to do some serious legwork (writing 3 separate senior theses) to still graduate in 4 years. And I did it. I even took 29 credit hours in one semester! My advisor, the registrar, and many of my family and friends commented on how driven—how brave—I was to undertake so much. I smiled, basking in the recognition, but what they didn’t realize was that I wasn’t brave. Driven maybe, but bravery was not involved because no risk was involved.. There was never a question in my mind that I could do it. I’m not being cocky—honestly, I’m not—it was simply something that I understood about myself. And when I risked nothing, I had no need to summon courage. I graduated, married, started a career, became a mom—all the while believing myself courageous, yet risking nothing. Then a Moment of Truth arrived. 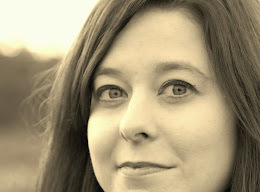 I had always dreamed of writing a novel and never tried. I’d composed poetry and short stories and essays. Never a novel. And I asked myself why. To answer simply, I wasn’t sure I could write anything anyone would willingly read (let alone pay money for). Then one day, sitting in a spa, after receiving a massage (the only one I’ve ever received in my life! ), I saw on the table a coaster—of all things!—that read, “I am willing to change.” I set my glass of water atop the coaster, shrugged it off as a warm, fuzzy, meaningless message. Then I repeated the phrase in my head. “I am willing to change.” I lifted my glass off the coaster. I put the coaster in my pocket, finished my water, and left. I went home and wrote the first chapter of my first novel. What I am still working to understand and striving to acquaint myself with is that nothing worth having comes without risk. And risk requires change—particularly, at least at first, a change in thinking. To change your thinking takes courage. A risk I recently took was to enroll in the MFA in Writing program at Spalding University. Never in my life—literally!—have I felt so not The Best. Yet I’m coming to enough sense of myself and this topsy-turvy world that I realize my immediate need to chuck out my measuring stick. Because I am called to write MY best—whether that lands my work on the New York Times Bestseller list or is read only by those closest to me. All that I undertake is not in competition with those around me, it is simply a part of my journey. And that is a revelation I keep discovering anew. Today, I endeavor to live and work as authentically as possible which I find is the greatest risk of all. And I never want it said of me that I wasn’t willing to take risks. Sings in sunlight, louder in rain. Who knows, maybe someday that will end up on a coaster. What are your 6 words? This is such a beautiful post. And a wonderful challenge, too! I'm going to try my hand at the 6 word memoir and see where it lands me. We're quite alike, it seems. I also have an at-times-crippling relationship with fear of failure. But I learning to work through that and harness the fear into something productive. Thanks for the post! I'm finding it's a common phobia, but what is uncommon is--as you have done--to push through that fear and use it as an impetus for change and productivity. As always, thanks for reading, Kate! I think your six words are perfect. I smiled when I read them.